Yankee Candle Christmas Cookie – This is one of their single wick medium sized candles and I really enjoyed this one. I feel like this one lasted a good while, it smelled great and had a pretty decent scent throw to it. This just smelled really good and really cozy during the colder months. Repurchase: Yes, I probably would this year. 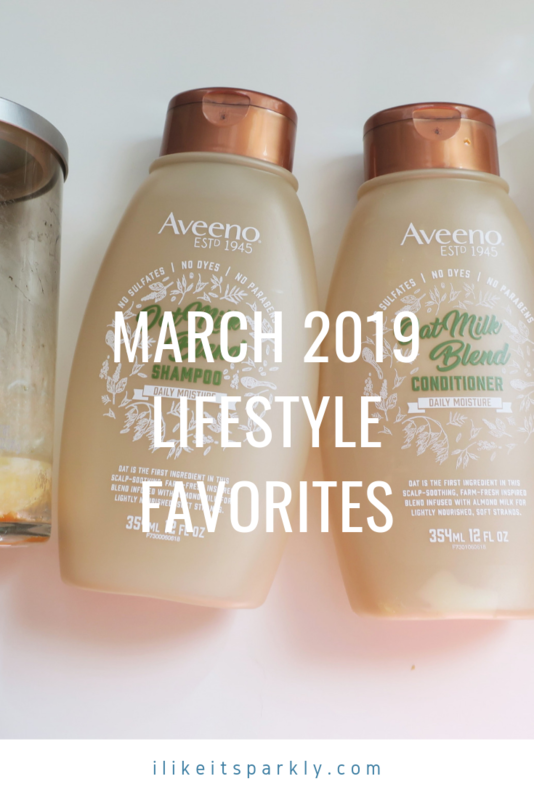 Aveeno Oat Milk Blend Shampoo & Conditioner – Yes, I am still using new shampoos and conditioners, mixing it up and honestly I really like being able to try something new pretty much every month or two. I really liked the way these two smelled, they were sweet but not overly so and they did really nice things for my hair. Repurchase: Yes, I would at some point in the future. Bath & Body Works Cherry Chilld Foaming Handwash – I actually really loved this scent, this is one of the better ones that I have tried and I’m a little bit sad that I can’t pick it up again anytime soon. Repurchase: Yes. I Dew Care Ginger Aide Mask Mini – I have had these masks for a minute and I am trying to work through them, I thought this one smelled amazing but didn’t seem to do that much for my skin, I did get about three masks out of the mini size. Repurchase: Probably not. I Dew Care Berry Bubbly Mask Mini – I ruined this one by putting my fingers in it, this is one of those bubble masks and when it comes in contact with skin it is kind of weird and ruined basically, so I don’t really have a lot to say about this one other than use a mask applicator for this one. Repurchase: Maybe. 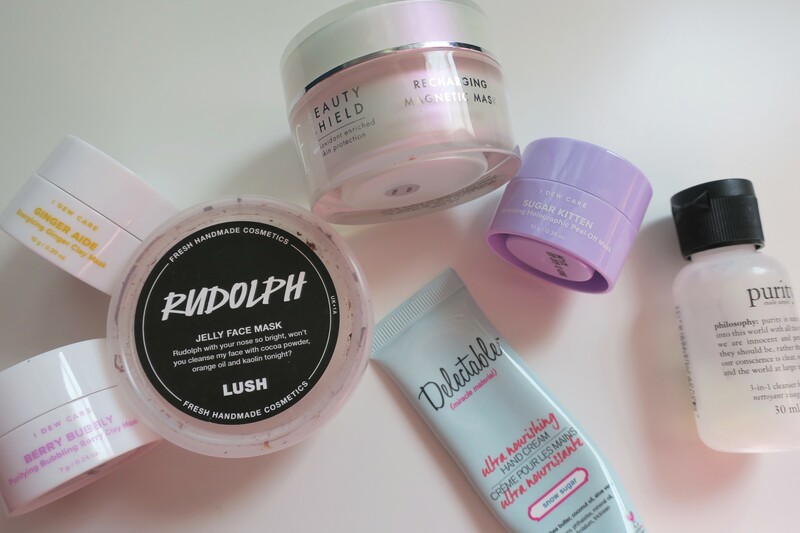 Lush Rudolph Jelly Mask – I have had this one since Christmas and have just finally finished this one up, and I must say that I really loved this mask. I think it is a terrible color but I also think it is cute how it comes with a little red jelly nose. This smells amazing though, just like chocolate pudding and it did really great things for my skin, even if the texture was a little bit strange since it is thicker. Repurchase: Yes, I hope they bring this back this year. e.l.f. Magnetic Face Mask – I jumped on the bandwagon with this one because I really wanted to try one of these magnetic masks, but they are expensive so I figured I would try this one. While I think it left my skin feeling pretty nice I also think that this product is gimmicky and there really isn’t anything too special about it. Repurchase: No, I would not. Though it is pretty fun to pull the stuff off your face with the magnet. I Dew Care Sugar Kitten Mini – I love how cool this mask looks on the face and I love that it is a peeling mask, something about peeling masks are just really satisfying. This one smells amazing and I think it does great things for my skin, like clean out the skin and leaving my skin looking extra glowy. So, I am a fan. Repurchase: I do actually own the full size as it was a gift with purchase, I’m not mad about it though. Delectable Hand Cream in Snow Sugar – I bought this in a set and I quite like the formula of these hand creams, though I must admit that this scent wasn’t my all time favorite, it was very clean and had a touch of sweetness to it but it’s just not my favorite. Repurchase: Not this scent. Philsophy Purity Face Wash – This is the smallest size I have ever seen of this product and that is completely why I had no trouble working through this one. This is a favorite of mine and something that I am not ready to find a replacement for, but I still have a couple bottles left before that happens. Repurchase: I would. Up & Up Moisturizing Shave Gel – This is a normal product to be in this post, I use about one a month of these up, sometimes a little more or less depending on how much I am using it. I love this stuff, it’s cheap and it does what I need it to do. Repurchase: It’s already sitting in my shower. Asquith & Somerset Mango Sugar Scrub – This is something that I was way too into sometime either last year or the year before, I stockpiled every last one of them that I could find and this is finally my last one. I love the way this smells and I like how this works fine, like a typical sugar scrub but nothing special. Repurchase: I would if I came across it. 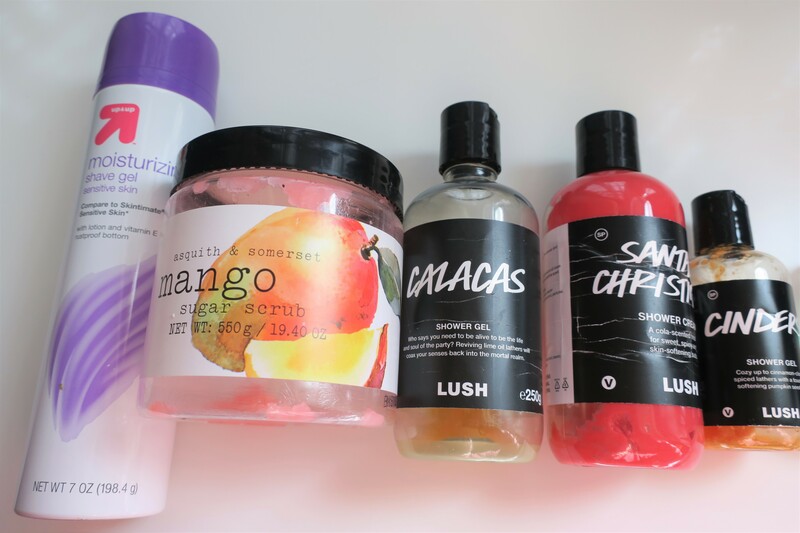 Lush Calacas Shower Gel – This is my all time favorite shower gel and if you get a chance to sniff it then I would for sure suggest doing so, it’s smells like gummy worms and is amazing. I am sad to see this go and I think they really need to bring this back in the kitchen or the lab, I need it in my life. Repurchase: Yes, I would though I already have a backup, my very last one. Lush Santa’s Christmas Shower Gel – I have really mixed feelings about this one, meaning I love the scent and think it’s a really fun cola scent but I hate how thick it is and how difficult it is to get out of the container. I would love to see this one come back with a better formula. Repurchase: Maybe. Lush Cinders Shower Gel – This one is strange to me, cinders was the first bath bomb I ever used from Lush, but I’m not sure how I feel about. This smells really fruity and a little bit spicy at first, which I quite like but then there is this slight smoky scent to it that I am not all about, so I am on the fence about this one. Repurchase: Maybe, I’m not sold on it even after finishing a small one. Benefit The Porefessional – This is a travel size and I am really excited to be finished with this, I might have one more before I go into the full size, I’m not really sure. Either way, I love this stuff, I think this really helps make my base look flawless and extend the wear of my makeup, which is always a bonus if you ask me. Repurchase: I already have a full size. Ulta Facial Cleansing Towelettes – These are something that I use mostly for swatches and by mostly I mean exclusively for, I don’t like these on the face as much but they are really well priced to use for swatches, so they serve a purpose. Repurchase: Yes, I probably will. Viktor & Rolf Bon Bon – This is just a little sample size so it was super easy to use but I really like this fragrance so I wanted to share it with you guys. This is like a more grown-up sugary sweet scent and I am all about that. Repurchase: I might get the full size one day. Maybelline Lash Sensational Mascara – This is a mini-sized product, this was my mascara for a while and I quite liked it, though I believe Maybelline isn’t cruelty-free so once I’m in the market for mascara I will have to find something. Repurchase: No, it’s not that fantastic. Atelier Perfume in Clementine California – I was really into this perfume, I don’t think it is my favorite from the set but it’s for sure in my top three. This smells amazing and very much like citrus, which is right up my alley. Repurchase: I would entertain the idea of a full size or a larger size. Atelier Perfume in Bergamote Soleil – I liked this one at first but the more I used it the more I fell out of love with it, it became more woody and I am just not into that kind of scent. Repurchase: No, I would not. 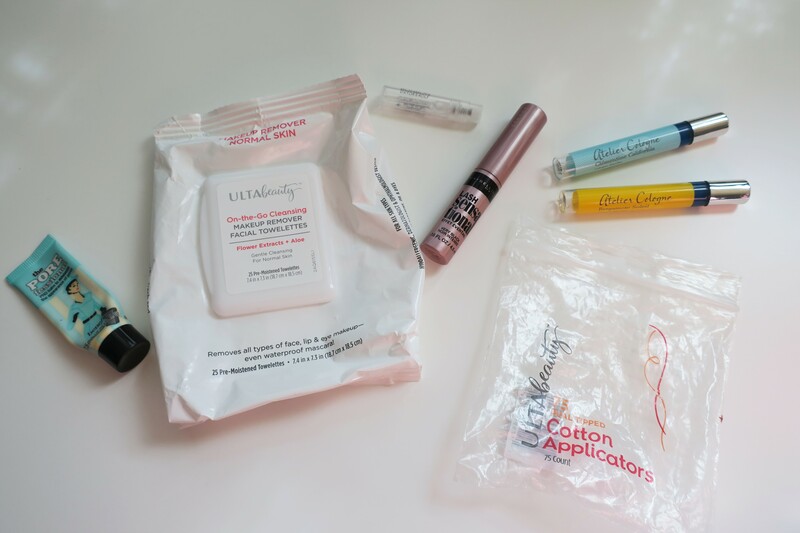 Ulta Dual Ended Cotton Applicators – These are a must in my desk, I use the pointy end to clean up all sorts of mistakes and they work great for that, sometimes I’ll even use the wider flatter side. I just like these and they are really affordable. Repurchase: Yes, I already have. And those are all of my empties this month, as you can probably tell I really focused on using up face masks and shower gels, though most of the ones that I used up were nearly finished in the first place so it wasn’t too hard. I am really happy to be finishing up a good amount of product again, this means it’s time to try some new things in my collection and I love trying new things, depending on what it is of course. What are some products that you have used up recently? 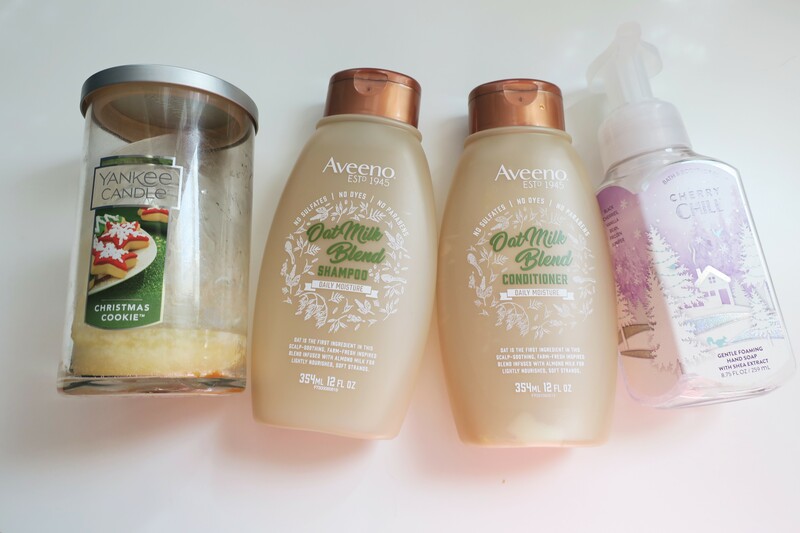 Nice collection of empties that you have there, I have been amassing mine and it feels so good to finally recycle them! Thank you! I try to do these monthly so I don’t hoard them for too long, haha. It always feels great to finally use up a product and get rid of it.